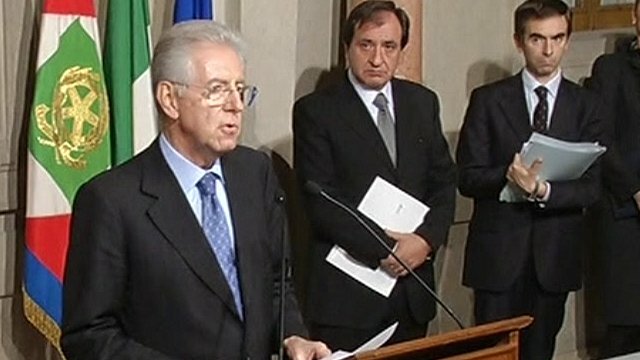 Monti promises urgency over debt Jump to media player Ex-EU Commissioner Mario Monti is asked to form a new Italian government, following the resignation of Silvio Berlusconi on Saturday. 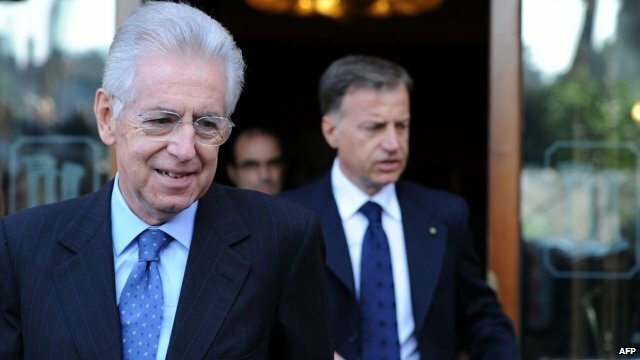 Italy announces Monti as new PM Jump to media player Mario Monti has been announced as Italy's new interim prime minister, following the resignation of Silvio Berlusconi on Saturday. 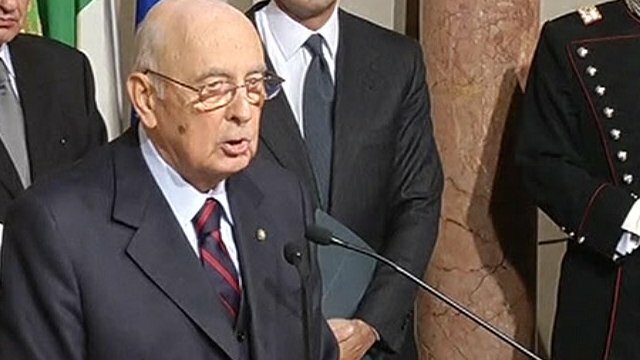 Monti 'an independent figure' Jump to media player Italian President Giorgio Napolitano has described Mario Monti as "an independent figure who has always been outside political forces". Ex-EU Commissioner Mario Monti has been asked to form a new Italian government, following the resignation of Silvio Berlusconi on Saturday. Mr Monti is a well-respected economist with a reputation as a tough negotiator, as well as being head of a university widely held to produce Italy's finest thinkers. Speaking after he was nominated to the post, Mr Monti said he would work with "a sense of urgency, but scrupulously" in order to tackle Italy's debt crisis.